Boris founded his own boutique agency in 2015, after more than 8 years, 700 million worth of sales and with numerous National Awards with two other prominent brands. 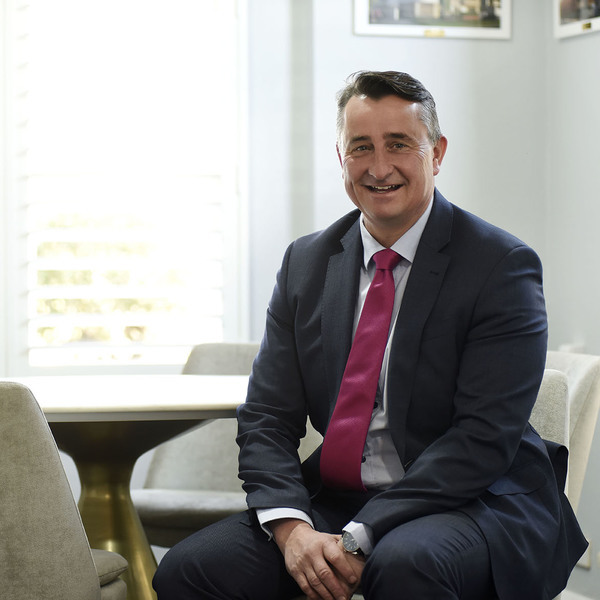 He is regarded by both public and peers as Canberra's luxury apartment specialist and holds the Canberra Apartment record price of $3,700,000 for a New Acton penthouse. Boris is renowned for delivering honest, accurate advice and solutions thereby professionally delivering exceptional outcomes for his clients. A born and bred local, Boris established BORIS. providing Canberran's with a more personal, standout property marketing and sales service in what now has become a crowded, confusing marketplace with little differentiation. Equipped with 30 years of teaching, coaching and project marketing experience, Boris is no garden variety Real Estate Agent. With visionary and unwavering dedication to the task, he has created a fresh new brand with edge. Selling across the city, Boris is available to assist developers, builders and all home owners alike - don't you want ot stand your property out from the rest? Let Boris show you how you can benefit from his exciting new approach to property marketing. His ability and talent to meticulously organise, transform, present and communicate properties to the market stand him, and more importantly, your property out from the crowd. With Boris it's personal - his reputation depends on it, and his large network of clients and repeat business demonstrate this. BORIS. is open to assisting Canberran's with all their property needs. Call Boris and find out how he can stand your property ot and achieve outstanding results for your and your family.